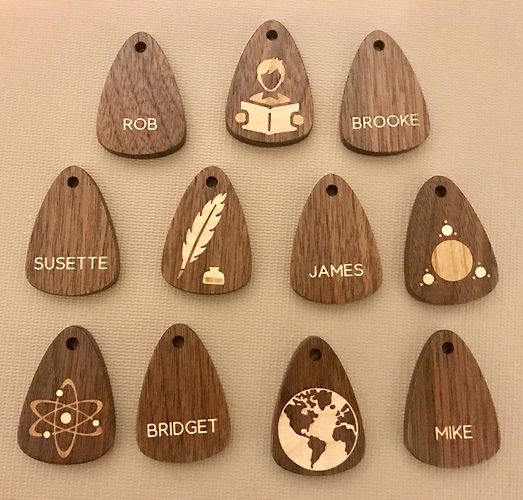 Teacher appreciation: Cherry and Maple inlays in Walnut for Math, Writing, Reading, Science, and Geography. Name inlayed in reverse side. Still enjoy working on the animal! Very nice. They look like, with minimal modification, they could be guitar picks, as well.